Restaurant Mosaic at the Orient has scored a hat trick of top international awards, reinforcing its position as one of the finest restaurants in Africa. 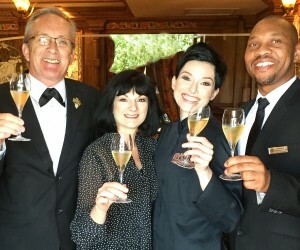 Chef Chantel Dartnall was this month named 2017 Chef of the Year for Africa and the Middle East by the prestigious Luxury Travel Guide Awards which recognise and celebrate excellence across all sectors of the affluent travel and tourism industry in Europe, the Americas, Asia, Australasia, Africa and the Middle East. Best Wine List Middle East & Africa, Best Champagne & Sparkling Wine List Middle East & Africa, Best Dessert & Fortified Wine List Middle East & Africa and Best by-the-Glass Wine List Middle East & Africa. Completing the triptych, Restaurant Mosaic has been named Luxury Restaurant of the Year by Travel & Hospitality, an exclusive resource for the discerning traveller. The Luxury Travel & Hospitality Awards is an independent global awards programme founded in appreciation of hotels, apartments, travel companies and restaurants all over the world, from small boutique choices to the bigger more recognisable brands. Restaurant Mosaic has one of the most comprehensive wine cellars in South Africa, comprising of more than 75 000 bottles of wine under 5 500 different local and international labels. "It is a great privilege for me to work so closely with an incredibly talented head sommelier such as Germain Lehodey and being exposed on a daily basis to his wide knowledge of wine and the industry that I have grown to love so much. 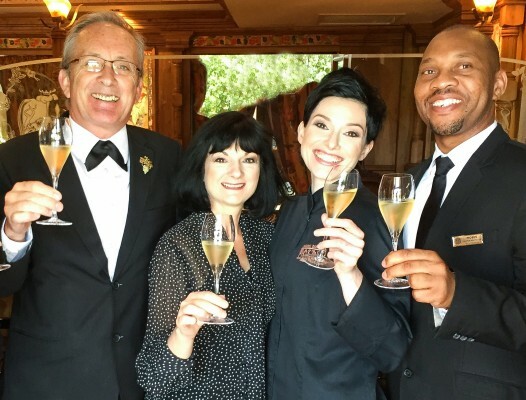 To be honoured by the World’s Best Wine Lists Awards again this year fills me with pride – in myself and the Mosaic-team for working so hard to make our wine list the best that we can,” says Moses Magwaza, sommelier at Restaurant Mosaic. Dartnall’s current winter menu at Restaurant Mosaic at the Orient, named Tabula Rasa (a Latin term meaning blank slate) has a number of African inspired dishes and features the chef's signature Botanical Cuisine, using only the best seasonal produce with Dartnall taking her cue from nature. Dartnall is an innovative chef, constantly on the lookout for the unique and wonderful. She rarely can resist a beautiful plate or piece of porcelain and she works closely with various artists in different disciplines to create petite masterpieces to showcase her cuisine at its best. Over the years she has discovered a universal truth: there are only a few basic fundamental principles when it comes to being a chef - passion, consistency and simplicity.